Robust, integrated friction control solutions that offer transit authorities unprecedented power and flexibility in managing operational issues. The dynamics of the wheel/rail interface present a multitude of problems for transit operators, from excessive noise to a wide range of unacceptable component wear conditions. 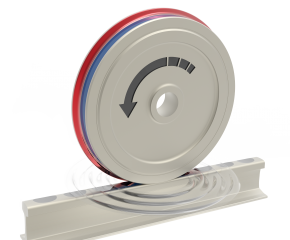 This is a proprietary, proven Top-of-Rail, (TOR) friction control product that is revolutionizing wheel/rail interface dynamics by reducing noise, lateral forces and reail wear. The effectiveness of this product is well documented, and successfully implemented worldwide by leading edge transit operators. This system solves a number of key problems in the rail industry. This proprietary friction modifier and delivery equipment has been engineered to provide significantly reduced wheel squeal in targeted curves, a reduction in lateral force without affecting the braking or signaling of transit vehicles, and reduced rail wear.